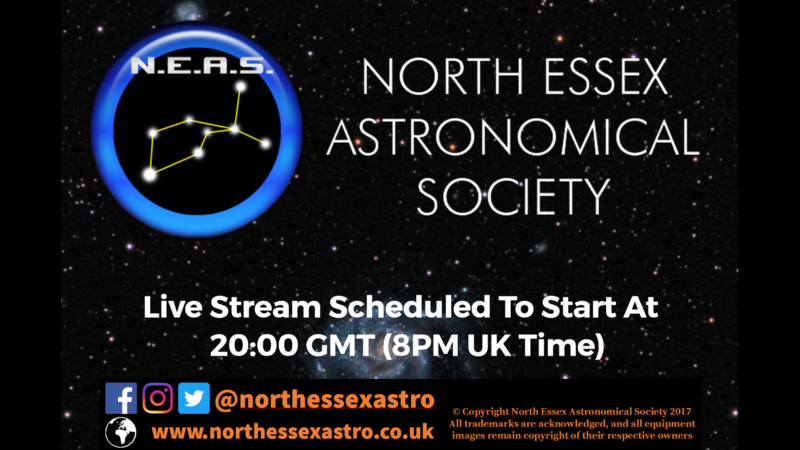 We hold occasional Live Astronomy streaming events which you can view via our Facebook Page or through the Live Astronomy Events page on this site. If you wish to interact with us by asking questions or making comments, you will require your own Facebook account and will need to view the event via our Facebook Page. 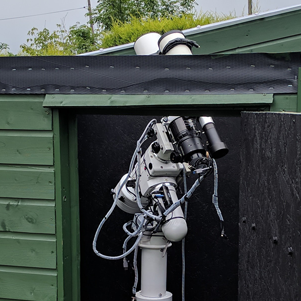 We will use our telescopes and specialist cameras to show you live views of the Moon, the Sun, any visible planets, galaxies, nebulae, star clusters and other objects of interest in the night sky. Our team of enthusiastic presenters will explain what you are seeing and do their best to answer any questions you may have. 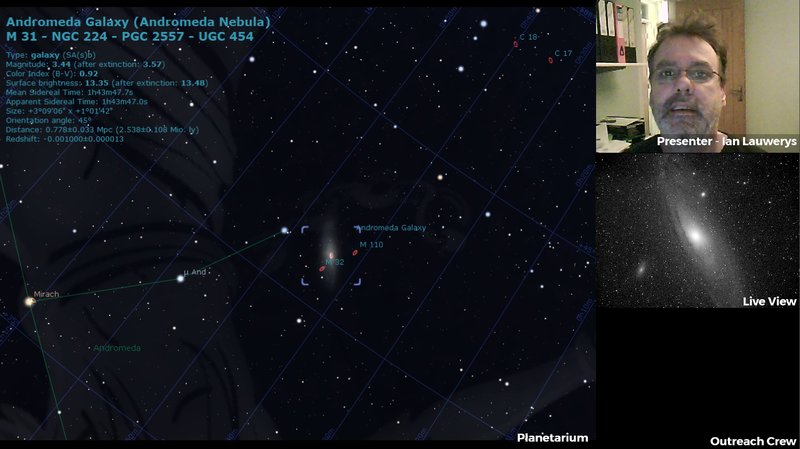 Live Astronomy events will run during the daytime for solar viewing, usually at weekends during the summer, and early to mid-evenings for night sky viewing, usually at weekends during the winter. We can’t plan a fixed schedule too far in advance as everything depends on the weather. Please check the listings below or the Events Calendar for dates and times. Bear in mind that these events may be scheduled at short notice as volunteer availability and the weather allow, so please follow our Facebook and Twitter feeds for the latest updates. In the event of cloud or technical problems, Live Astronomy events may be cancelled or cut short. Please follow our Facebook and Twitter feeds for information as to whether the event will go ahead. Don’t worry if you miss an event. 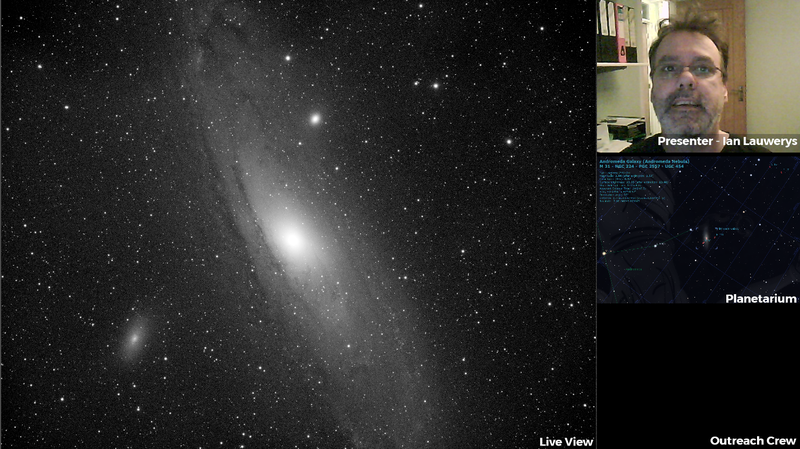 We publish recordings of all our Live Astronomy events on our Live Astronomy Archives page shortly after they have finished. Recordings are also available on our YouTube Channel. 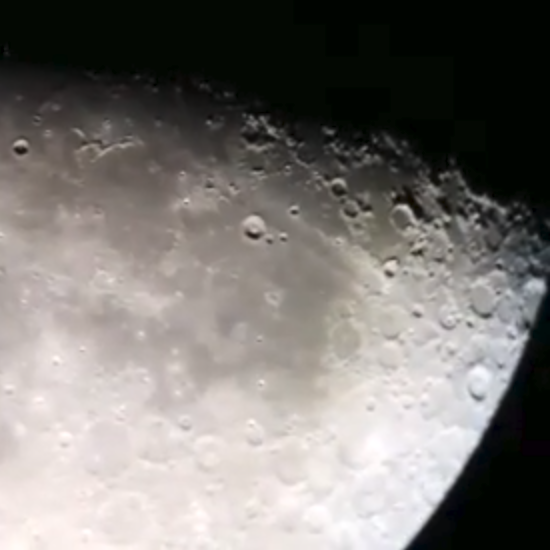 Live Astronomy events are free. All you need is a suitable device and an reasonable Internet connection to view the event, plus a Facebook account if you wish to interact with us. Live Astronomy events are suitable for all ages but in line with e-Safety guidelines, children must be supervised by an adult.